If the old master Rubens were to paint a beer, barley wine would be his subject. Certainly such a match would be no accident; both portray a full body, appreciate with age, and critics never regard them lightly. Indeed the classic canvas of barley wine presents the most sophisticated of beers. Although the designation barley wine originated early in the 1900’s, the style has undoubtedly been brewed for hundreds of years. In by-gone days these were referred to as strong ale, stingo, Burton ales, old ales and Scotch ales. Many of these names survive and frequently appear on labels, especially in the UK. But the earliest references were as “first sort” or merely a mark of several X’s branded onto the wooden aging barrels. Such diversity shrouds the origin of this style in mystery. First appearing centuries ago in small house-breweries, a brewer’s motivation for producing these strong ales was probably a combination of preservation and bragging rights. They counted on these statuesque beers to increase their standing with the brewery’s patrons, and of equal importance, cellar over a considerable period of time. High alcohol and hops both act as natural preservatives and at exaggerated levels they enhance a beer’s shelf life. 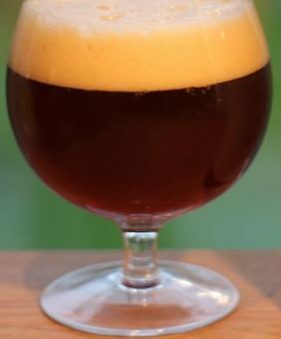 Use of the modern name – Barleywine, can be attributed to the high alcohol, which rivals that of wine, along with the practice of maturing in wood. Fermentation produces both products, but no other connection with wine exists. Achieving a thorough fermentation presents the greatest challenge in making this style because ale yeasts have limited tolerance for high alcohol. Thus, the yeast goes dormant and falls to the bottom of the fermentation vessel without completing its job. Brewers overcame this by using a combination of two methods. First, by “rousing” the yeast, a gentle stir back into solution, they coaxed additional fermentation. Coupled with rousing, they pitched (added) fresh, working yeast to finish the job. In a more modern practice the brewer might take a shortcut by a late pitching of alcohol tolerant yeast strains, such as those used in champagne. The resultant alcohol can run from a fairly low 7% to dizzying heights of nearly 15 percent. Higher alcohol levels are typical and breweries bottle them accordingly. Therefore, be mindful of the small bottles. Sized between 6 and 8 ounces they offer a potent little punch from their diminutive packaging. With so much malt used, brewers aggressively hop barley wines to balance the inherent sweetness. Routinely, hops measure up to 100 International Bittering Units (IBU’s). How high is this? Consider any of the distinctively hoppy northwest ales, even the bitterest versions reach only to a range in the upper 40 IBU’s. While such high hops in barley wines are well justified, it results in traits, which vary greatly depending upon when the product is sampled. 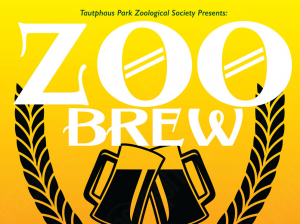 Tasting these beers can evoke descriptive words such as big, bold, huge, massive, full, and assertive along with phrases such as throat grabbing, coarsely hopped, and rough alcohol. Often appropriate, they reflect more an issue of timing than true character. Younger versions do present a somewhat harsh disposition, but aged (cellared) barley wines bring forth a mellow personality, and after several years maturity they yield a much different profile than in youth. Older versions (2 years and up) will often be described in appropriately subtle terms. These include malty, sherry-like, estery and complex. At times they will exhibit a richness of deep fruit-like flavors from cherries to plums, raisins, and prunes. Finer examples, aged in the customary wooden cask, will also present wine-like notes of a viney, woody, slightly tannic nature. A few breweries produce light colored versions of deep golden hues such as Goldie from Eldridge Pope and Fuller’s Golden Pride. However, most Barley wines range in color from amber to deep reddish browns. Make no mistake, although often dark they remain clear, bright and handsome. Served in a tulip shaped glass or snifter, barleywines are unchallenged by any other beer in the role of relaxing nightcap. Consume them like a fine scotch, cognac or sherry and slowly savor the strong malt and alcohol with underpinnings of subtle complexity. They make a picture perfect companion on a deep winter’s night.